As you have read in our news we are significantly expanding our wild team in the next days and weeks. Nick Huisman will join us to develop several projects and our apprentice Robin Rossberg will return from Business School to assist our team in their day to day work. 1 August an intern student will also start working over the summer here in our Tamsweg head-office and Vlado Vancura in between his many trips to our European Wilderness Network Partners will work from the Tamsweg head-office. 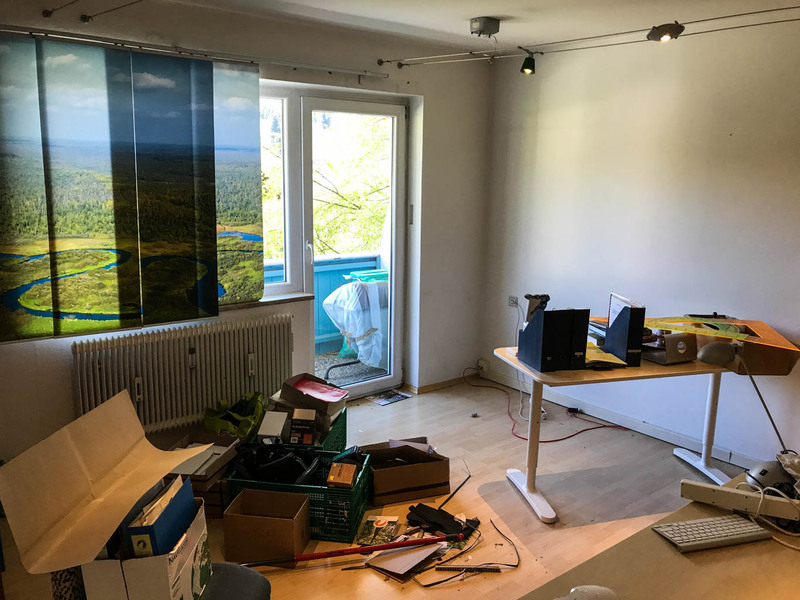 We therefore needed to upgrade our Network to a 1,3 GBit/s high-speed wireless network, we replaced our old desks with desks and we renovated the paint and the lightning. We also replaced the old cupboards and added a new hi-speed colour laser printer. Next week we will show you pictures of our office after we have renovated it. What will stay the same is our beautiful view in the UNESCO Biosphere Reserve Salzburger Lungau and the cows on the meadow behind our office.